Jesse Owens won four Olympic gold medals; something that had never been done prior to the Berlin Olympic games in 1936. He showed the world that Adolf Hitler and his Aryan athletes could be defeated. Owens is still remembered as one of the world's greatest athletes. But how did the son of a sharecropper go on to shatter the master race theory? What happened to the "Buckeye Bullet" after his Olympic glory? Owens' daughters, Gloria Owens Hemphill and Beverly Owens Prather, join us on Chicago Tonight at 7:00 pm to talk about a new American Experience documentary premiering Tuesday at 8:00 pm on WTTW11. Watch Jesse Owens Preview on PBS. See more from American Experience. Get a behind-the-scenes look at American Experience's biography "Jesse Owens" with series executive producer, Mark Samels, and filmmaker, Laurens Grant in the following video. 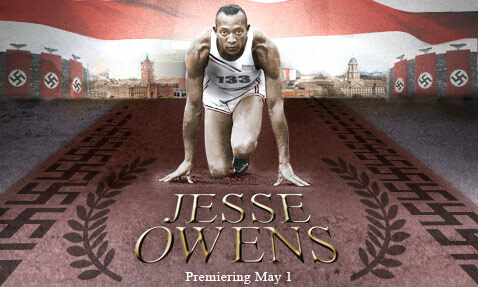 Watch Jesse Owens Behind the Scenes on PBS. See more from American Experience.